Electricity disconnections soar in WA as households turn to solar energy. 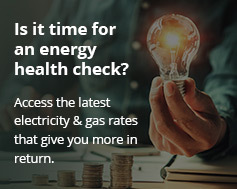 Electricity disconnections in Western Australia have reached a six-year high due to rising energy bills and unemployment rates. Close to 20,000 West Australians had their power switched off for non-payment of bills in 2017-18, a report by the WA Economic Regulation Authority shows. The rate of residential electricity disconnections in the state has more than doubled over the past two years. It’s now at a six-year high of 1.91 per cent. State government-owned retailer Synergy’s disconnection rate increased by 118 per cent over 2016/17 and 2017/18. WA Council of Social Service chief executive Louise Giolitto says the disconnection rate is “staggering”. Perth is lagging in terms of solar uptake as other states move into the renewables fast lane. She claims the government should stop disconnecting customers as a “first resort” to get their attention. Meanwhile, they should be receiving higher financial aid to help them meet their bills. A change in state government hardship grant laws has also made it harder to get financial aid, the report reveals. An increase in the WA Government’s daily fixed charges is pushing up energy bills by an estimated $170 a year. A change in Hardship Utilities Grant regulations makes it harder to get financial support. An unemployment rate of 6.8% (source: Australian Bureau of Statistics) is the highest in WA for nearly two decades. WA’s higher rate of electricity disconnections than the eastern states suggests a lower debt threshold for disconnection. Origin Energy says that WA has one of the highest growth rates of solar uptake in Australia according to 2017 SunWiz figures. This means more people seeking solar quotes. Research by the Australian Energy Market Operator (AEMO) also shows solar panels represent the state grid’s biggest collective generator. It therefore produces close to 700 MW of capacity. WA is therefore failing to keep up with Australian renewable front runners Tasmania, ACT and South Australia. Victoria and Queensland are catching up, followed by NSW. However, WA is in the top three when highest proportion of households with rooftop solar energy. Queensland is number one with 32.9 per cent, followed by South Australia (32.3%) and WA (26.7%). WA also has one postcode among the 26 Australian suburbs and towns with more than half of households having solar installations: Alkimos, near Perth (6038). Nineteen of the top postcodes are in Queensland, four in SA and two in NSW. WA is the only state without a Renewable Energy Target (RET) or net-zero emissions goal, the Climate Council report says.